Sometimes the best adventures are the toughest ones. Be prepared for whatever comes your way with a lightweight drop-bar adventure bike that can tackle paved roads, gravel or dirt. 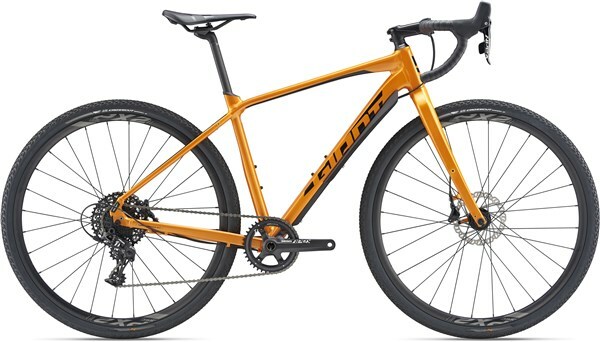 Lightweight agility: Frameset constructed with ALUXX SLR, Giant’s lightest grade of aluminium and a composite fork. Comfort and stability: D-Fuse seatpost and optimised geometry puts a rider in a position that balances efficiency with confidence on rough roads, paths or trails. Integrated rack mounts: Compatible with front and rear racks, allowing the bike to be equipped quickly and easily.